With the lunation of 5 in your second solar house you may make some money in the upcoming weeks. You will know for sure during the next full moon. During this month of April, you will get to show your family and friends that you are worthy, but you have to go for it! It's the perfect time to buy (and as long as the economy is good) and to make your money work for yourself. On another note you may have to use your skills in an artistic way except the ones in the kitchen since you are...on a diet. 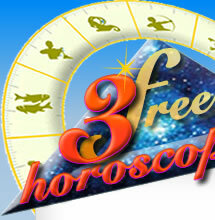 During this month Venus will be on your side and you will have a great aura that will help you find your special one. Will you reach your goals? Mercury is giving you a lot of confidence and you get to have a say and to convince with your words and personal convictions. 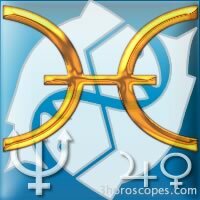 Uranus is in harmony and you are surrounding yourself with new people, as much in your personal life as at work. But most of the time those people come to you and communication is easy. Venus will be in your decan in the week of 7 and it might be the right time for you to get more hugs and attention from your partner. You may get a present or an invite soon. In the week of 7 Mars is square to your Sun and you will have to channel your energy in order to control your words and actions. Make sure you don't hurt your family. Good aspects of the Sun show that during the week of 21, you are very healthy and confident! Make sure you show your skills and your creativity. Pisces, do you know your zodiac sign ?